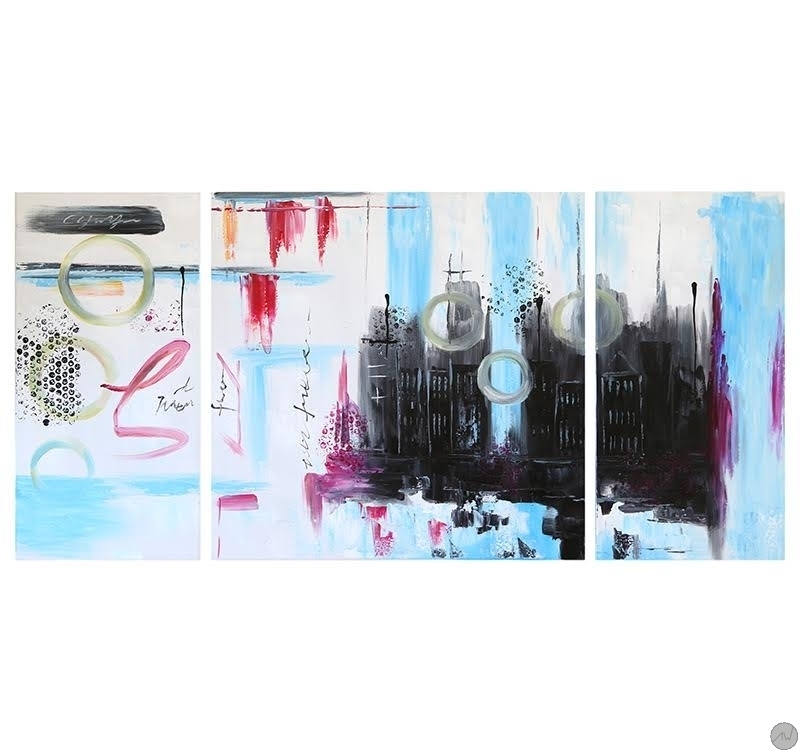 An abstract and design ensemble for this modern oil painting ! The dimensions of this design oil painting are 120X60 cm. Free 24/48h delivery in metropolitan France for this big size decoration. Each contemporary oil painting is waterproof and treated anti-UV. Here is a coloured oil painting definitely abstract and design showing hand-created paintings and drawings. On the right-hand part of the oil painting canvas one can make out a castle all in blue and purple colours. 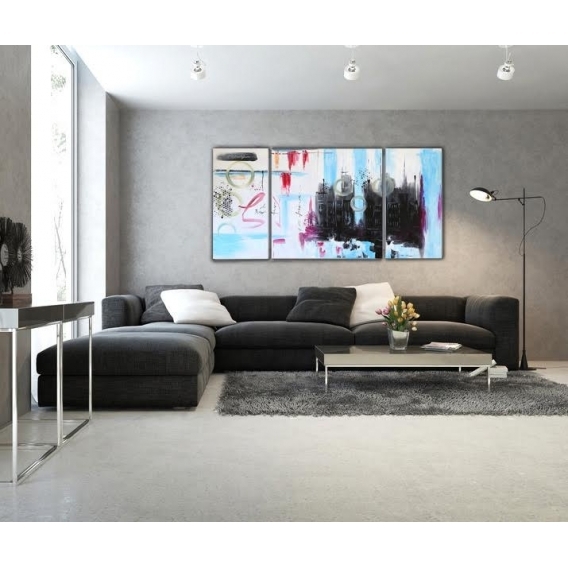 Ideal for your home decoration this wall oil painting will bring light and taste to your room. 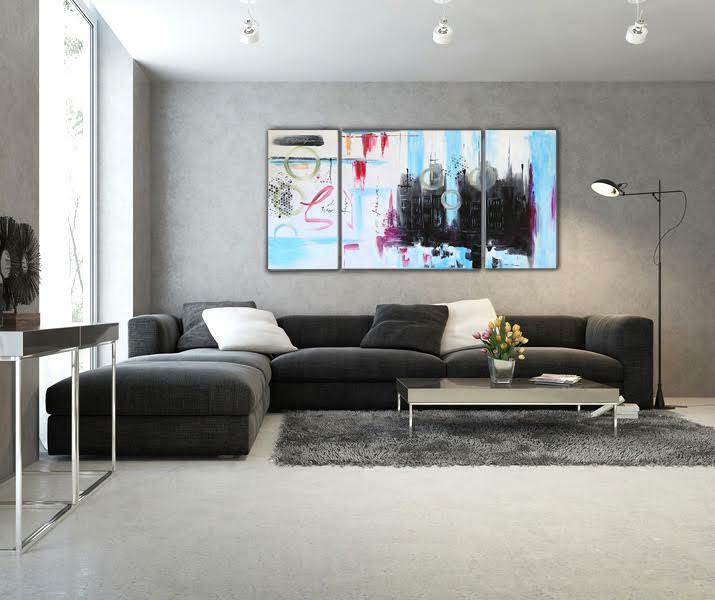 All the decorative canvases in this category are painted on a cotton canvas and stretched on a Canadian pinewood frame so the picture is ready-to-hang. The hand-painted canvases are delivered wrapped and with cardboard corners and hanging system. All the canvases in the paintings category are not reproductions but are painted by our artists. 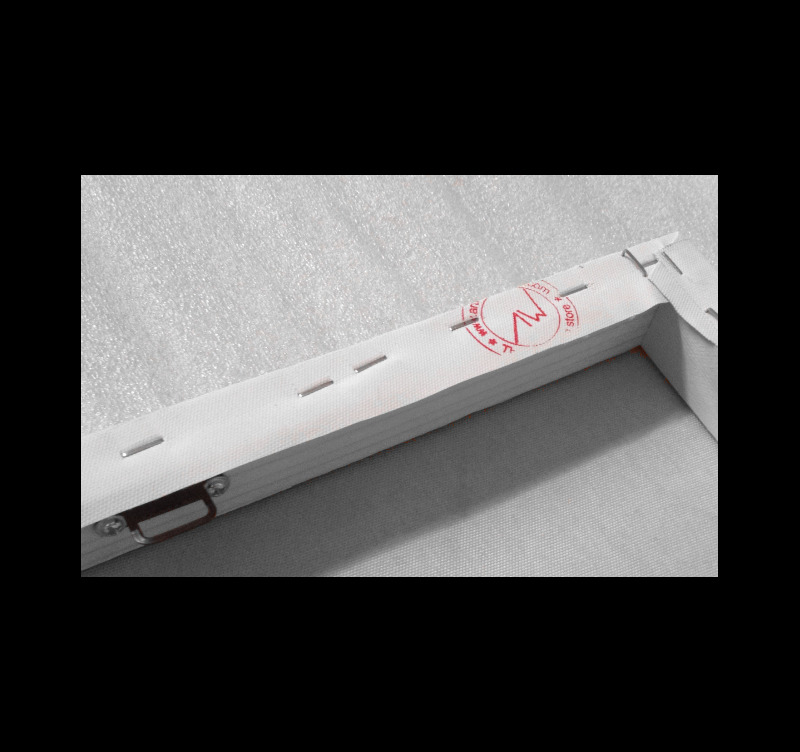 They are anti-UV and anti-damp treated to ensure a better finish and a long-lasting quality.